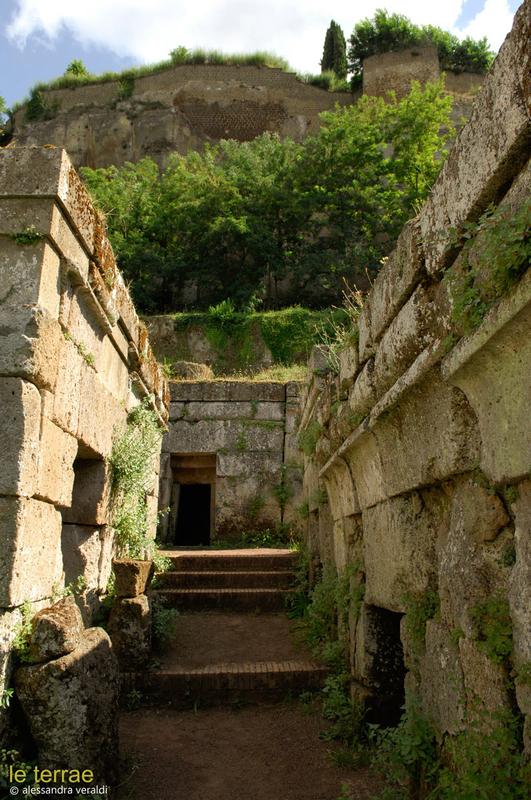 Tour "On the Footsteps of the Mysterious Etruscans"
ON THE FOOTSTEPS OF THE MYSTERIOUS ETRUSCANS: AN 8-DAY TOUR DISCOVERING THE MOST SPECTACULAR ARCHAEOLOGICAL SITES OF SOUTHERN ETRURIA. 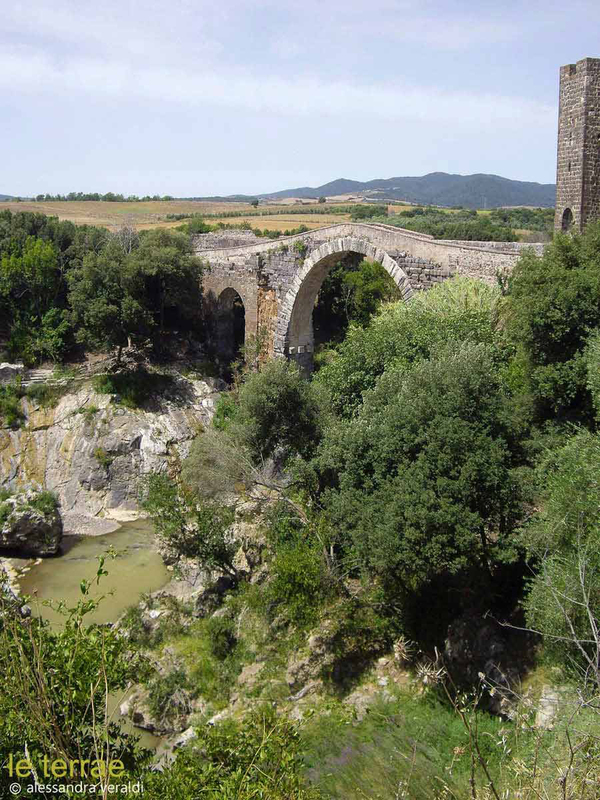 In this fascinating and adventurous tour you will discover the sites and the refined culture of the Etruscan people, the forerunners and masters to the Romans. The itinerary includes visits to the Unesco Sites of the necropolises of Cerveteri and Tarquinia, with their wonderful wall paintings that help shed some light on the mysterious and still little known life of the Etruscans; walks into secret lush landscapes frozen in time; visits to undiscovered hilltowns of Etruscan origin and to a few of the powerful twelve Etruscan city-states, such as Orvieto and Vulci, that were the last to fall under the Roman hegemony. Today our driver will meet you at the Orte train station (which is reached directly by train from the Fiumicino - FCO airport) and will take you to the villa of the Aqueduct or the villa Le Terrae. After a detailed review of the tour program and a question and answer session, we will sit down together for a welcome dinner of typical dishes from the local culinary tradition, prepared by our cook. 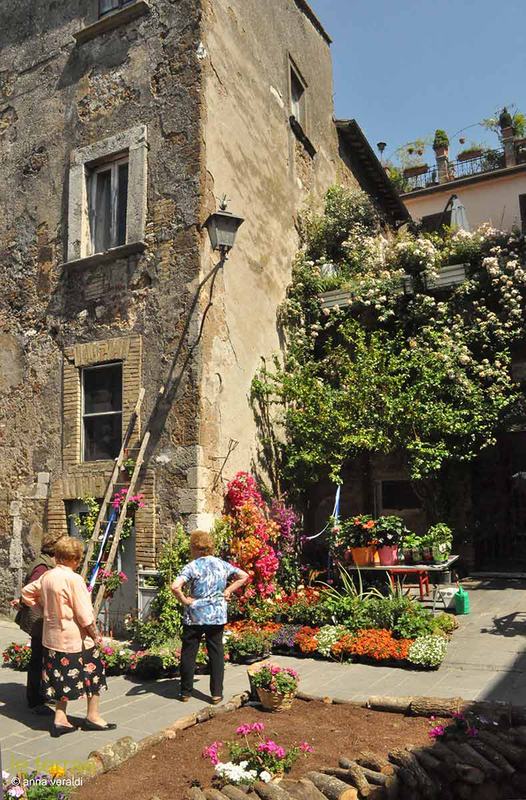 This morning, after breakfast, we’ll start by visiting the ancient town of Orte, the Etruscan Horta, located on a high plateau at a bend of the Tiber River. A local guide will lead us underground on an exploration of the matrix of passages and rooms excavated by hand in the soft volcanic rock from the Etruscan period and through the centuries until as recently as the 1900s. 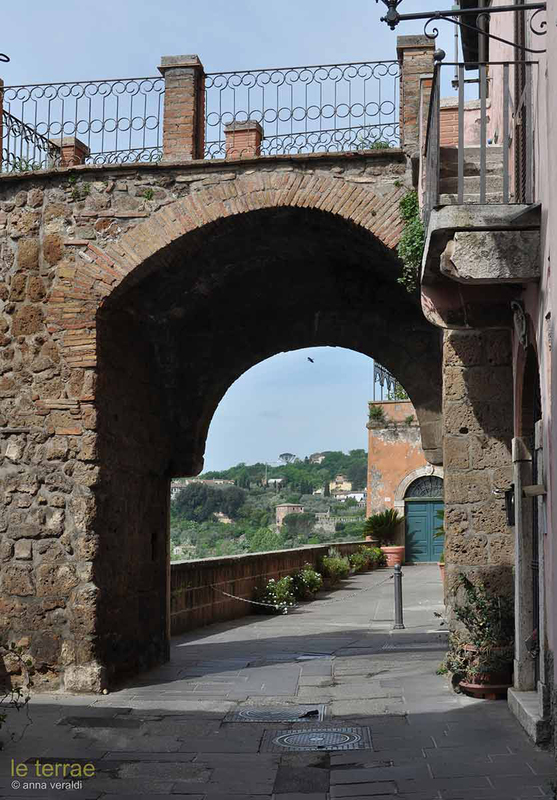 After lunch at our favorite restaurant in the historic center of the town, we will visit Vasanello, another nearby town of Etruscan origin with Medieval and Renaissance period buildings – while there we’ll visit the ancient Orsini castle and a Romanesque church, Santa Maria. Vasanello was renown in the past, since the Etruscan and Roman times, for the production of pottery. Before leaving the historic center, we will stop briefly at an old pottery studio, and continue on a white road to explore the hidden archeological area Palazzolo, a small settlement of Etruscan origin in the territory of Vasanello. We will conclude the day taking part in a cooking class by our cook and we will have dinner at home. Today we will venture on foot in the archaeological site of Norchia (the ancient Orclae, inhabited since prehistoric times) for an exciting outing to the most spectacular of all of the rock-cut necropolises of Etruria. Here, immersed in an untamed, imposing and mysterious landscape, it will seem as if we are in a different time, just as it must have been experienced by the romantic travelers of past centuries, who observed with a sense of wonder the intimate bond that connected them to the nature and the ancient ruins. We will see the spectacular tombe a dado (cube tombs) carved in the volcanic tufa cliffs and the ruins of a church and medieval castle. We will pause for a picnic lunch featuring local food and wine products. In the afternoon our exploration will continue with a visit to some of the thermal springs in the area around Viterbo, which were already frequented and enjoyed by the Etruscans and the Romans. The most renown of the springs is the Bullicame, quoted by Dante Alighieri in the Divine Comedy Inferno. We’ll complete our day’s adventure in the city of Viterbo, the capital of the province, known as the “City of the Popes” since the period in the XIII century in which the popes elected Viterbo as their residence, and there we will admire the Palazzo dei Papi (Popes Palace) with its beautiful Gothic loggia. Before returning home, we will visit a favorite cantina of locally produced wine before dining at a local restaurant. After breakfast, we will leave for Tarquinia, the old Tarchuna, a mighty city founded in a strategic position, at a few kilometers from the Tyrrhenian Sea. Deeply tied to Rome since ancient times, Tarquinia gave to this city the dynasty of Etruscan kings (Tarquinio Prisco, Servio Tullio and Tarquinio il Superbo). Along the road we will see the original site where the ancient city once stood, the rise of the Civita (City), on which are the ruins of the temple of the Ara della Regina (Altar of the Queen), the most imposing temple of Etruria. 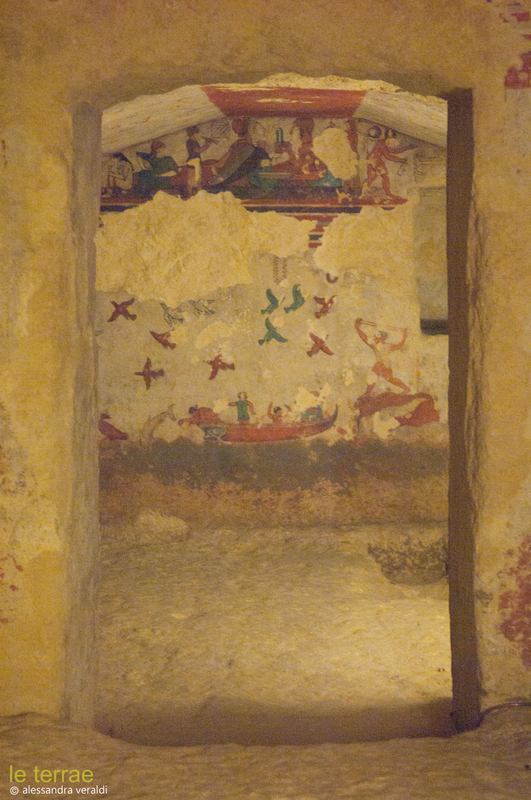 We will visit the famous Necropolis of Monterozzi, an Unesco world heritage site of exceptional archaeological interest, where the extraordinary tomb paintings bring to light the values of a great civilization and help shed some light on the mysterious and still little known life of the Etruscans. We will then reach the Tyrrhenian Sea, where the ancient harbour of Tarquinia once stood and we will have lunch at a local restaurant. We will continue our journey with a visit to the beautiful archaeological and naturalistic park of Vulci, an ancient Etruscan‐Roman metropolis surrounded by an unspoiled natural environment and we will see the delightful Castello dell’Abbadia (Castle of the Abbey), current location of the National Archaeological Museum of Vulci with its beautiful finds from the area. Tonight we will end the day with a relaxing dinner at the villa. We will begin the day with a short drive to Orvieto, the Etruscan Velzna, one of the twelve Etruscan city states, that was the last one to fall under Roman hegemony and probably was the site of the Fanum Voltumnae, the main Etruscan sanctuary. We will admire from a distance this splendid hilltown, overlooked by its extraordinary gothic Cathedral, towering on a tufa cliff that like a natural fortress once ensured the strategic control of the surrounding territory. Before entering the historic center of the city we will stop at the foot of the cliff to visit the striking Necropolis of the Tufa Crucifix (6th century BC). The importance of this site is due to the particular layout of the tombs, aligned along straight streets, according to an orthogonal grid that probably mirrors the urban residential quarters, and to the numerous funerary inscriptions on the external architraves. Immediately after entering the city we will take a break for lunch and wine tasting of the town’s famous wine with a professional sommelier. In the early afternoon we will follow our guide in a visit to the impressive and beautiful cathedral, which is one of the most important example of Italian gothic architecture. The rest of the afternoon will be free to explore the city, its exquisite shops, or the famous water well by Sangallo the Younger. Upon returning home we will have dinner with typical local dishes prepared by our cook, who will share some of her culinary secrets. 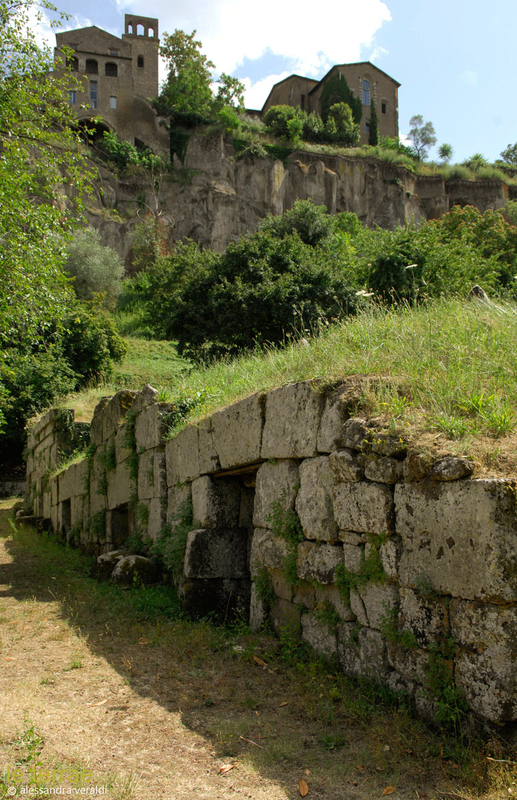 During the morning we will visit the extraordinary funerary complex of Cerveteri, the powerful Caere, in the so-colled Tuscia Romana, a region further south and closer to Rome, where the environmental context is the very same one typical of the Tuscia Viterbese, which we visited in the previous days. The deep canyons cutting through the tufa cliffs, with their lush vegetation and abundant waters, are landscapes of rare beauty that speak of the ancient volcanic activity of this region. We will visit the spectacular Necropolis of the Banditaccia, yet another Unesco world heritage site. 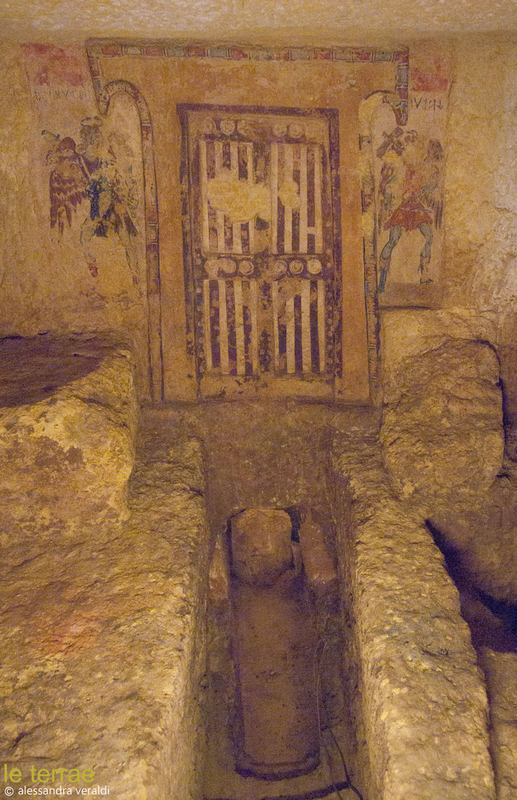 We will admire the exceptional tombs, le eccezionali tombe, embellished by refined decorations, that reproduce the Etruscan homes. 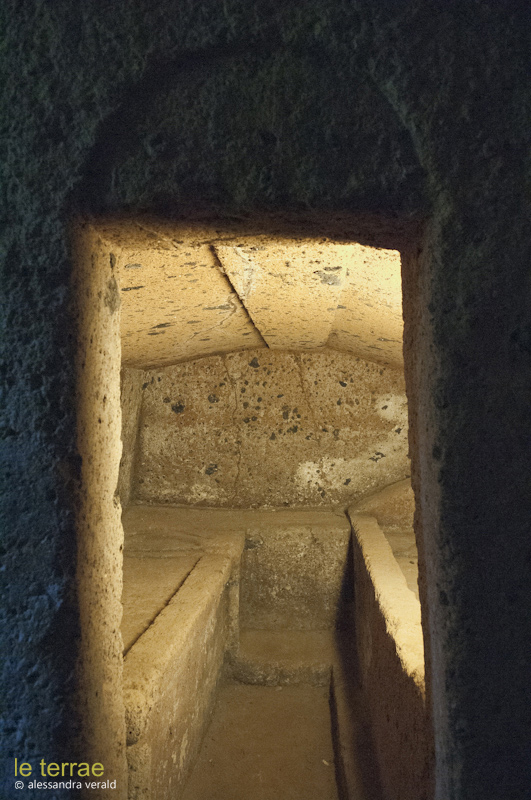 The tombs are part of an organic urban plan in a fascinating “city of the dead” that testifies of the great sense of devotion that the Etruscan civilization had for its dead. Lunch will be at a local restaurant and in the afternoon we will reach the nearby coast of the Tyrrhenian Sea to visit the archaeological area of Pyrgi, one of the harbours of Cerveteri, in the vicinity of the suggestive Castle of Santa Severa. We will back home by dinner time. Today we will go to Rome to visit the National Etruscan Museum of Villa Giulia. The villa, in addition to hosting the most representative museum of the Etruscan civilization, is one of the most refined examples of later renaissance architecture. We will admire the precious archaeological finds, among which the wonderful Sarcophagous of the Spouses, discovered at the Necropolis of the Banditaccia of Cerveteri, and the famous Pyrgi gold tablets that allowed the experts to partially comprehend the indeciphrable Etruscan language. After a break for caffè or cappuccino, we will take a nice walk through the Park of Villa Borghese and stop for lunch in a cafeteria inside the park. The afternoon will be free to explore the historic center of the city. You will be able to reach on foot the famous Church of Trintà dei Monti and descend the splendid Spanish Steps down to the fountain of the Barcaccia in Piazza di Spagna, stop at the historic Caffè Greco in Via Condotti and continue towards the Pantheon and Piazza Navona. We will return to Orte and in the evening we’ll have a grand celebration dinner at the Villa. After one last breakfast at the villa, our driver will accompany you to the train station of Orte. Thank you for having joined us! This tour will operate with between 4 and 8 participants. Groups of 5 or more booking together will be offered a reduction in price. Everything else same as the Full Version. Villa of the Aqueduct is a beautiful and extremely unique villa built in the Renaissance around the ruins of an ancient aqueduct. Located in a dramatic position in the hilltown of Orte, at the bend of Tiber River, the villa has beautiful views of the surrounding countryside. The location, in the geographic and cultural heart of Italy, is ideal to explore Umbria, Lazio and Tuscany: One hour from Rome and two from Florence, in a lush, hilly countryside scattered with beautiful Hill Towns, Renaissance Gardens and villas. It is extremely well connected by the A1 freeway and main train system..
Villa of Le Terrae is located in the territory of the ancient Etruscans, amidst the vineyards, oak forests, and sunflower fields of the valley bordering Umbria, Lazio and Tuscany. Our villa is in panoramic and peaceful position, yet extremely well connected by the A1 freeway and main train system: Within half an hour to one hour distance from Rome, Spoleto, Orvieto, Assisi, Perugia, Todi, Viterbo, Civita di Bagnoregio, Tarquinia, Bolsena, and Vico lakes. Two hours from Florence.